Experience the ultimate match day at The Etihad Stadium with our VIP Manchester City corporate hospitality packages for the 2018/19 season including Premier League, UEFA Champions Leauge, FA Cup and League Cup fixtures. We are delighted to offer a wide range of fantastic Manchester City hospitality packages at The Etihad Stadium for the 2018/19 season. Under the expert management of Pep Guardiola, The Sky Blues have adopted a wonderful style of football that has allowed them compete at the very top level with Europe’s elite clubs. To enhance your match-day experience we have a range of packages available to cater for all tastes and budgets. Whether utilising Manchester City hospitality for business or pleasure, you can be sure that both you and your valued guests can enjoy the experience of a lifetime. 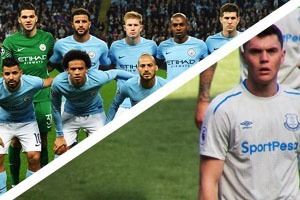 Official Manchester City Hospitality packages for the Manchester City v Tottenham Hotspur fixture in the 2018/19 Champions League Quarter Finals. 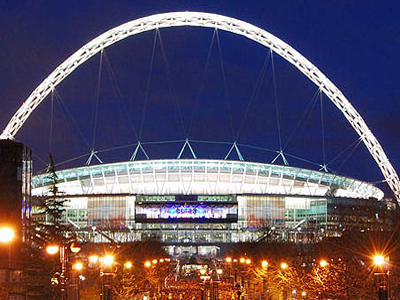 Official Wembley Stadium tickets and hospitality packages for Manchester City v Brighton & Hove Albion in the 2019 FA Cup Semi-Finals. Official Manchester City Hospitality packages for the Manchester City v Cardiff City fixture in the 2018/19 Premier League season. 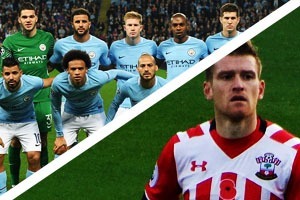 Official Manchester City Hospitality packages for the Manchester City v Tottenham Hotspur fixture in the 2018/19 Premier League season. Official Manchester City Hospitality packages for the Manchester City v Leicester City fixture in the 2018/19 Premier League season. Official Manchester City Hospitality packages for the Manchester City v Huddersfield Town fixture in the 2018/19 Premier League season. Official Manchester City Hospitality packages for the Manchester City v Newcastle United fixture in the 2018/19 Premier League season. Official Manchester City Hospitality packages for the Manchester City v Fulham fixture in the 2018/19 Premier League season. Official Manchester City Hospitality packages for the Manchester City v Brighton & Hove Albion fixture in the 2018/19 Premier League season. Official Manchester City Hospitality packages for the Manchester City v Burnley fixture in the 2018/19 Premier League season. Official Manchester City Hospitality packages for the Manchester City v Southampton fixture in the 2018/19 Premier League season. Official Manchester City Hospitality packages for the Manchester City v Manchester United fixture in the 2018/19 Premier League season. 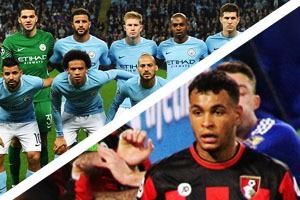 Official Manchester City Hospitality packages for the Manchester City v AFC Bournemouth fixture in the 2018/19 Premier League season. Official Manchester City Hospitality packages for the Manchester City v Everton fixture in the 2018/19 Premier League season. 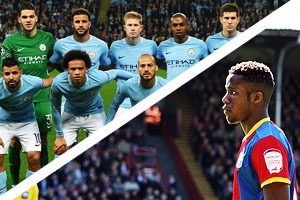 Official Manchester City Hospitality packages for the Manchester City v Crystal Palace fixture in the 2018/19 Premier League season. Official Manchester City Hospitality packages for the Manchester City v Liverpool fixture in the 2018/19 Premier League season. 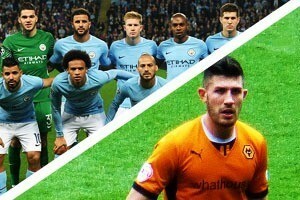 Official Manchester City Hospitality packages for the Manchester City v Wolves fixture in the 2018/19 Premier League season. 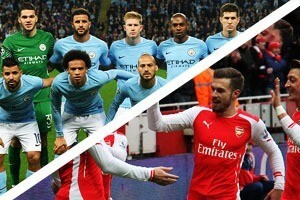 Official Manchester City Hospitality packages for the Manchester City v Arsenal fixture in the 2018/19 Premier League season. Official Manchester City Hospitality packages for the Manchester City v Chelsea fixture in the 2018/19 Premier League season. The Carabao Cup Final between Chelsea and Man City at Wembley Stadium finished 0-0 AET. Manchester City won 4-3 on penalties. 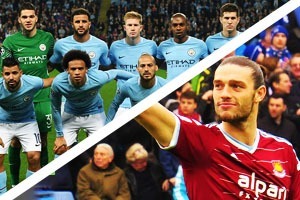 Official Hospitality Manchester City packages for the Manchester City v West Ham United fixture in the 2018/19 Premier League season. Official Manchester City Hospitality packages for the Manchester City v Watford fixture in the 2018/19 Premier League season. If you are looking to entertain your valued clients, guests, family or friends at one of the Premier League’s most iconic arenas, look no further than The Etihad Stadium, home of Manchester City FC. We offer three wonderful corporate hospitality packages that can be made available to you on a match-by-match basis; these include The Commonwealth Bar, The Tunnel Club and The Chairman’s Club Experience. The Commonwealth Bar is an ideal environment for groups of friends and colleagues to sit down and enjoy a more informal experience whilst soaking up some spectacular football. Guests are treated to exclusive VIP match seats in the delightful East Stand and can also look forward to a wide range of premium foods options available for purchase, as well as complimentary half time refreshments. The Chairman’s Club is by far the most prestigious facility at The Etihad Stadium. The sumptuous suite takes corporate hospitality to a new level of splendour, offering a luxurious 5 course fine dining meal combined with the very best seats available in the lavish Director’s Box. An exquisite Champagne reception will also add to the delectable experience as well as a complimentary bar offering wines, beers and soft drinks.